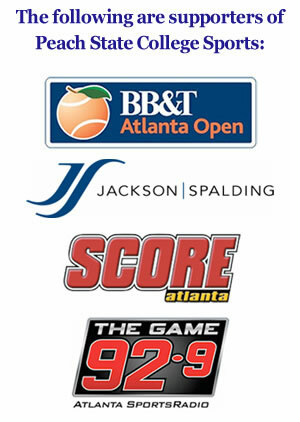 Thursday night Georgia State hosted University of Texas Arlington in a conference matchup in the Sun Belt. This was not the average home game for the Panthers. 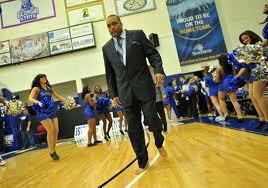 Coach Ron Hunter coached in his fifth annual “Barefoot for Bare Feet” game . For the game, Hunter walks the sidelines bare foot. This annual game shows the Panthers and Coach Ron’s support for Samaritan’s Feet, an organization that provides shoes for underprivileged children throughout the world. It was a pretty unusual start for the Panthers last night as they missed their first few shots. UT Arlington had a quick start as they took a 6-0 lead early in the first few minutes. Georgia State seemed to be lacking on defense early. 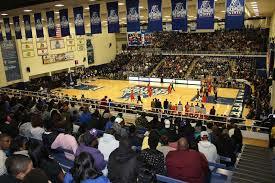 UT Arlington was out hustling GSU grabbing all of the loose balls and controlling the offensive glass. Coach Hunter saw it was time for a change and stepped the pressure up a notch. The team extended their zone pressure defense to half-court with RJ Hunter at the top of the defense. His long arms caused multiple problems for the Mavericks last night as their team committed 20+ plus turnovers. As State’s offense was very stagnant they used their defensive pressure to lead to easy baskets to get them going. The offense was rolling after the defense picked up. Ryan Harrow picked up the scoring role, scoring 19 points in first half, as Hunter struggled all night. Hunter went 0-6 from 3-point last night while Harrow had nine points within the first 10 minutes. A new addition to the starting lineup , Ryann Green , is a spark for the Panthers. Defensively he is tenacious like Tony Allen and he is solid on offense as well. He is a quick slasher who can finish at the rim. Harrow had the ball on a string last night as he lost multiple defenders with his crafty dribbling skills. Kevin Ware and Markus Crider both chipped in with double figures to help compliment Harrow last night. Ware finished with 11, Crider finished with 10, and Harrow led all scorers with 27. State battled all game with the Mavericks trying to peel away with the lead, but UT Arlington would just never go away. As it got later in the second half the Panthers shifted into another gear pushing the lead into double digits. They led by 18 with eight minutes left and maintained the lead for the rest of the game finishing with a score of 83-62 to increase their record to 11-6 (4-2). In post-game interview coach Hunter states, “I’m really really really happy right now with our bench.” Behind Harrow’s monster game and good bench production the Panthers added another win to their coaches arsenal. They look forward to getting another win this Saturday as they travel to Appalachian State.